Episode 985: An Alola! in Kanto! Brock & Misty!! Episode 986: Gym Battle! Z-Move VS Mega Evolution!! 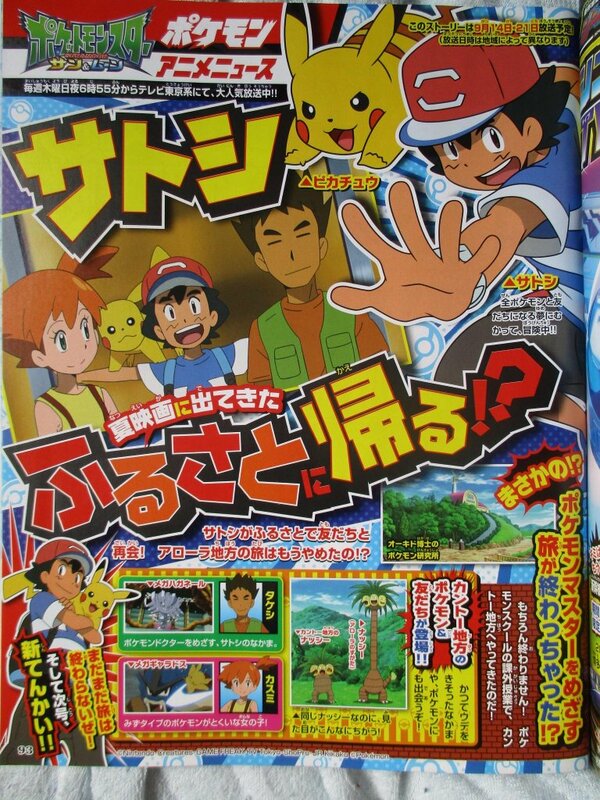 As shown in the full magazine scan, Brock’s Steelix and Misty’s Gyarados can now Mega Evolve. 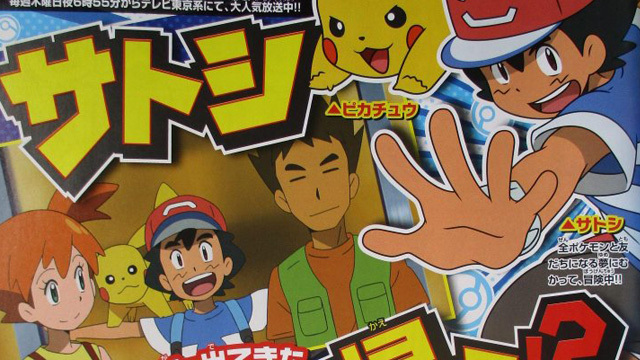 Ash will also see his old Pokémon at Professor Oak’s lab. Brock and Misty are well known to veterans, as they were old stalwarts of the show’s first five seasons. Misty made a couple of cameos in seasons 7 and 8, while Brock remained one of the main co-stars until the end of season 13 in 2010 (and guest stared in a special side story following Best Wishes!). Neither character had a major role in the throwback 20th movie Pokémon I Choose You! this year. For those keeping watch on Japanese air dates, this Kanto two-parter of Pokémon Sun & Moon airs on TV Tokyo on September 14th and the 21st. Internationally, we should expect a few months gap for the dub to air on Disney XD.